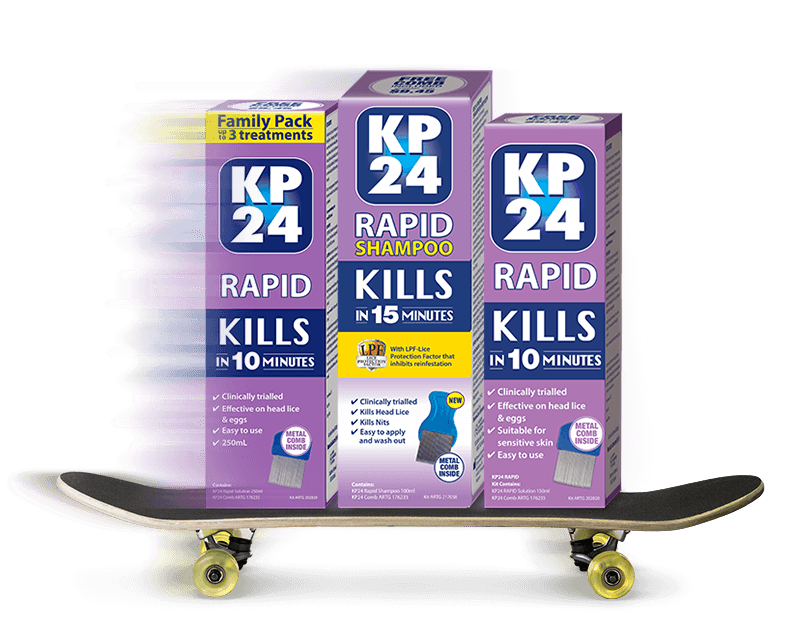 KP24 Medicated Range contains maldison, which has a double action that directly attacks both head lice and their eggs. 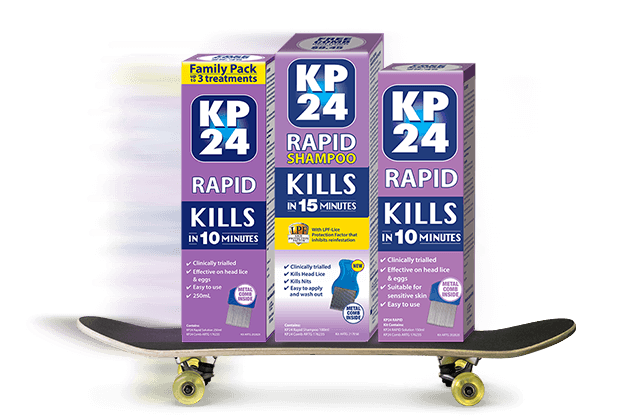 KP24 Rapid effectively kills head lice in just 10 minutes. 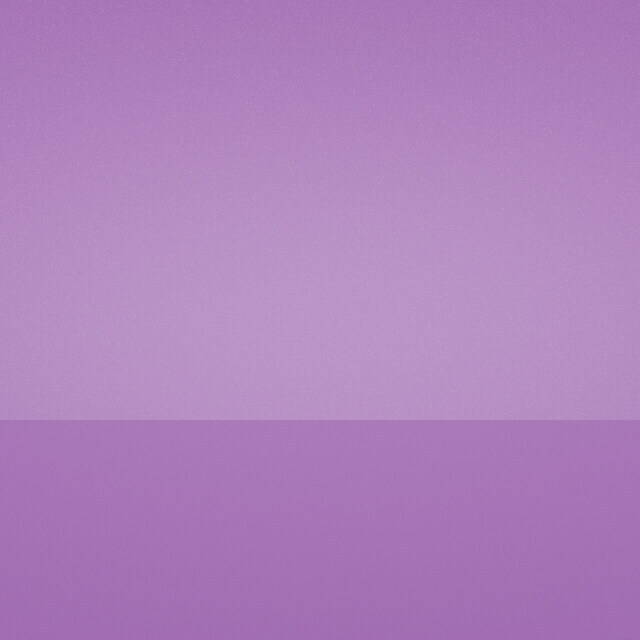 Rapid Shampoo with LPF treats head lice and helps prevent reinfestation in 15 minutes. Your all-in-one solution effectively treats head lice and their eggs. It contains KP24 Medicated Foam, Medicated Lotion, Combing Solution and Metal Lice Comb. 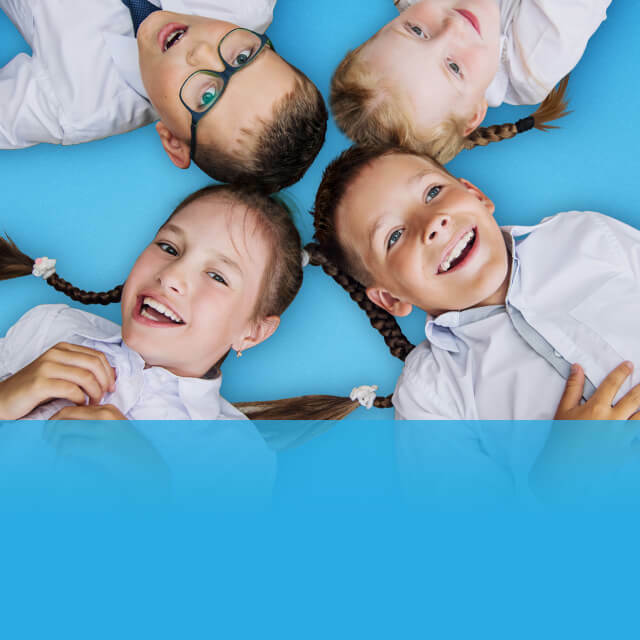 Fast acting head lice egg removal lotion dissolves the egg’s connective glue which loosens the bond between the nit and the hair. Durable metal tooth comb that can be repeatedly steralised. Comes with bonus magnifier to help remove head lice and their eggs. Natural conditioning combing solution contains Tea Tree Oil and helps improve the process of removing head lice and eggs. 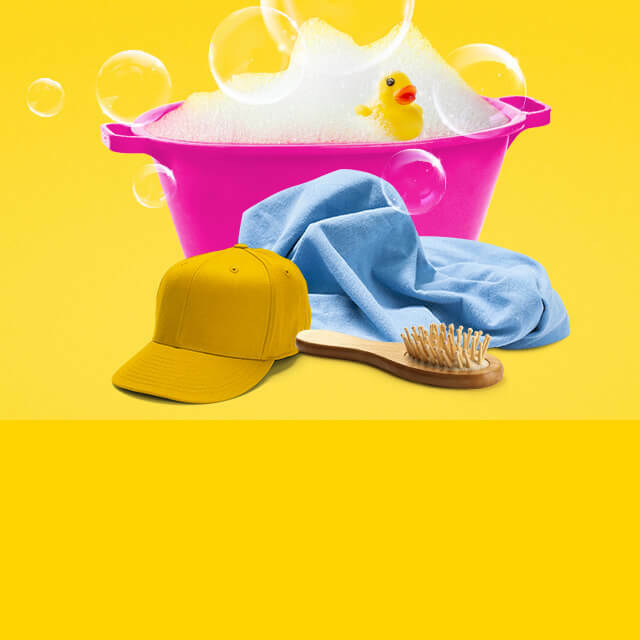 Keep a lice free home. Soak all affected personal articles in KP24 Soaking Solution to eradicate and prevent reinfestation of head lice.